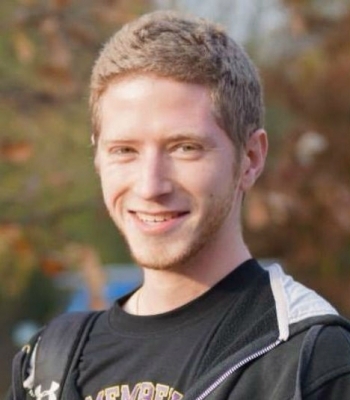 The family of Shane Montgomery says that the body found today in the Schuylkill River is that of the missing West Chester University student. 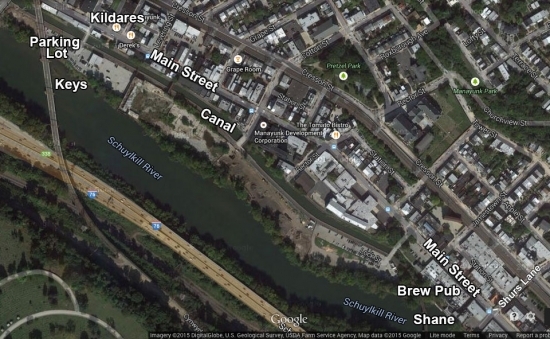 The body was discovered by Garden State River and Rescue around noon in the waters behind the Manayunk Brew Pub at Main Street and Shurs Lane. Police have not officially identified the body, just that it is a white male. 21-year-old Shane was last seen early on Thanksgiving morning after leaving Kildare's Irish Pub after a night out with friends. He was caught on video walking into a parking lot near Kildares that is adjacent to the river and about a half mile upstream from where his body was recovered. On December 21st, the dive team found his keys in the water near the banks close to that parking lot. (see map below) The five-week search included thousands of volunteers, the FBI, Philadelphia Police, dive teams, local media and sports teams, a social campaign, the communities of Roxborough and Manayunk, and more. UPDATE 1/4: The medical examiner has ruled Montgomery's cause of death accidental. Funeral arrangements were also announced today. A viewing will be held Thursday, January 8, 2014 from 5 - 9 p.m. at St. John the Baptist Church located at 146 Rector Street in Manayunk, Philadelphia. The funeral service will be held Friday, January 9, 2014 also at St. John the Baptist Church with visitation from 9 - 10 a.m. and mass following at 10 a.m.
"Today we have done what we promised. We found and brought Shane home. We want to thank the Garden State Underwater Recovery Unit, Philadelphia Marine Unit, Northwest Detectives, the Philadelphia Police Department, Saint John the Baptist, Mike Rose and the Brew Pub and their employees. We want to thank everyone for their support, prayers, and love and ask that they continue to pray for our family at this trying time. At this time we ask that you please respect our privacy. We need time to mourn together as a family."